Manhattan Motorsports has kicked off the new year with new and exciting ventures! Here we offer our customers an exclusive look at our storage menu, featuring pricing as well as some bonus add-ons. Not enough room in the garage at your Long Island home or tired of paying Manhattan garage prices? 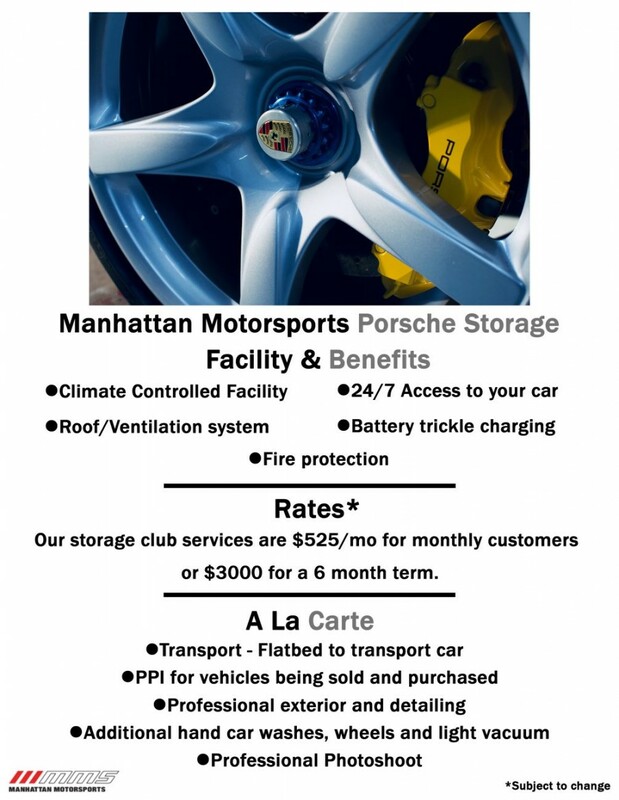 Secure your Porsche a spot today! If you would like to reserve a spot or if you have any questions, give us a call. 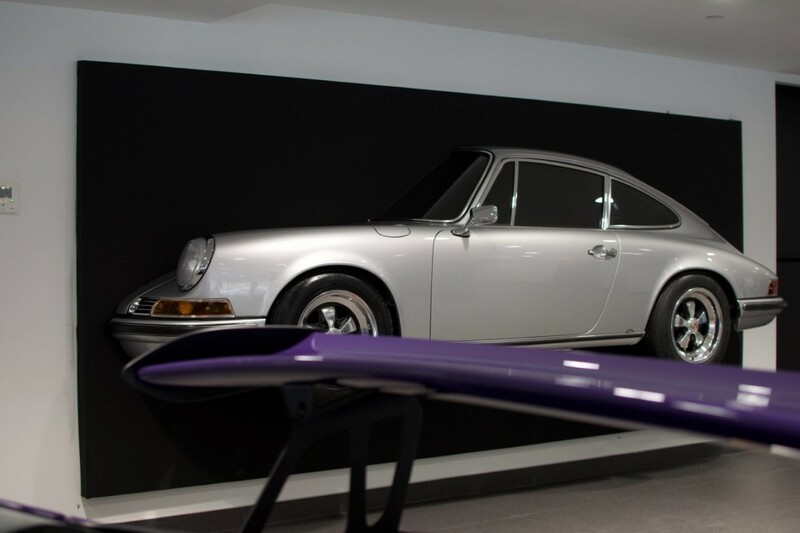 The owner of this 356 opted to go with the original blue and the color is just amazing! 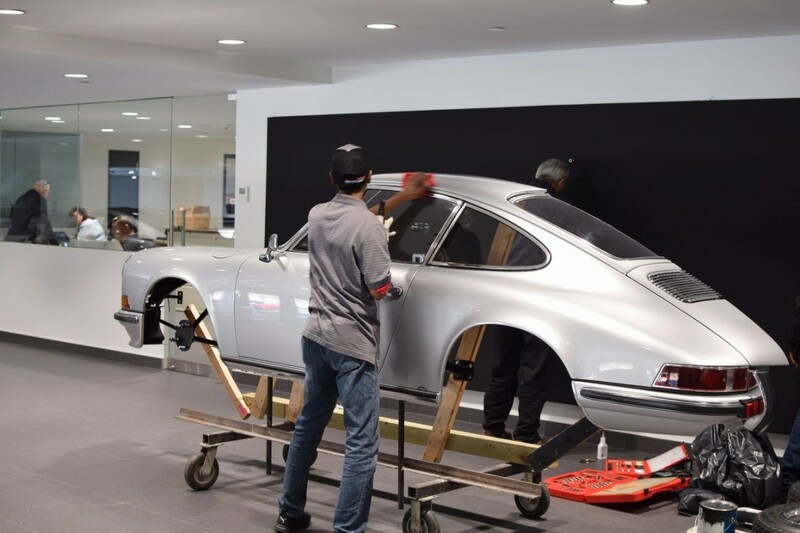 We are sure everyone who has been following this restoration process will fall in love with it. 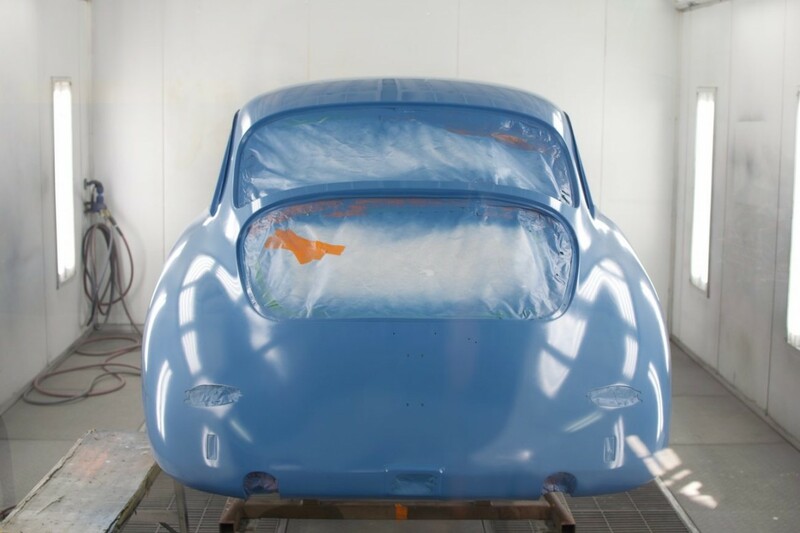 Check out the video of the 356 getting sprayed in our booth. 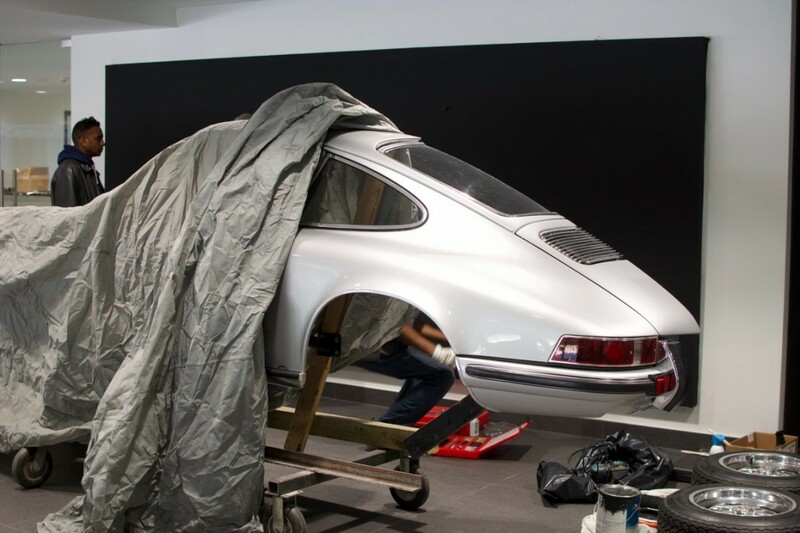 The 356 was taken down to bare metal before any primer was sprayed on it. Being able to see the car being sprayed is really cool and it is not something that you get to see every day. It has been a beautiful journey with this restoration and it is coming along magnificently. 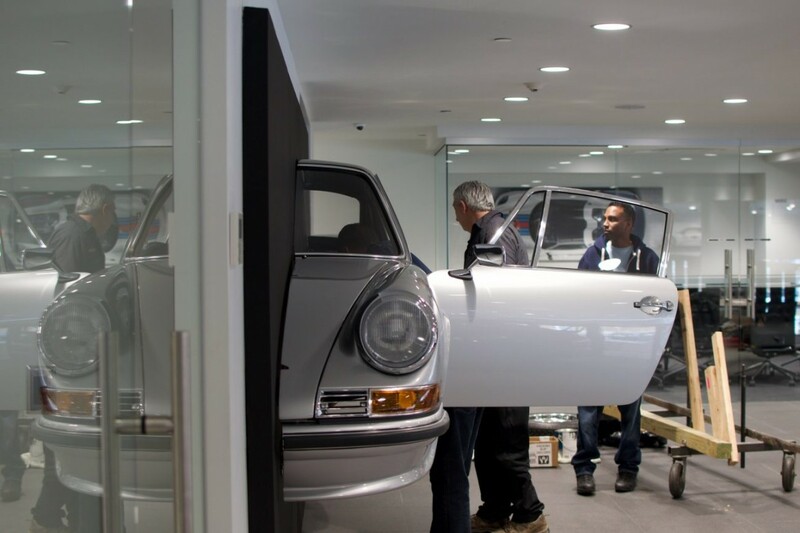 Interior work is on the horizon so stay tuned and let us know if you have a Porsche to restore! 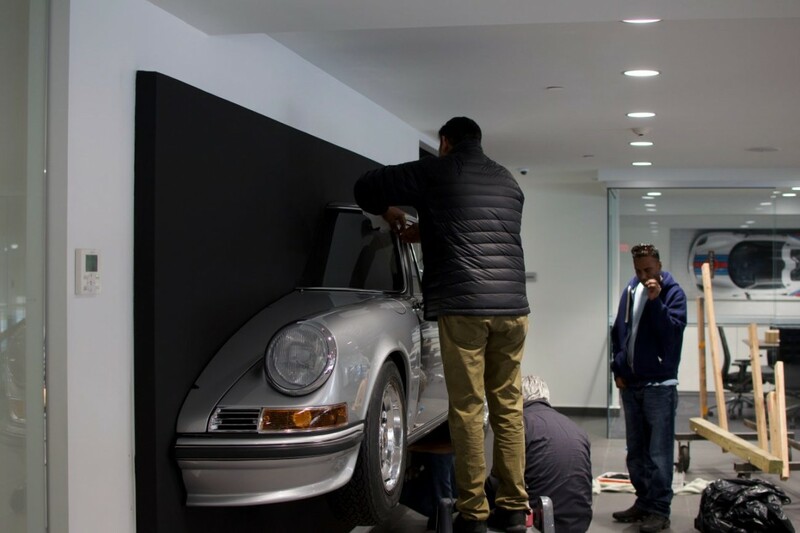 Porsche Roslyn has now moved and changed its name to Porsche Gold Coast. Bobby and the Manhattan Motorsports team made this art piece as a highlight of the new dealership. 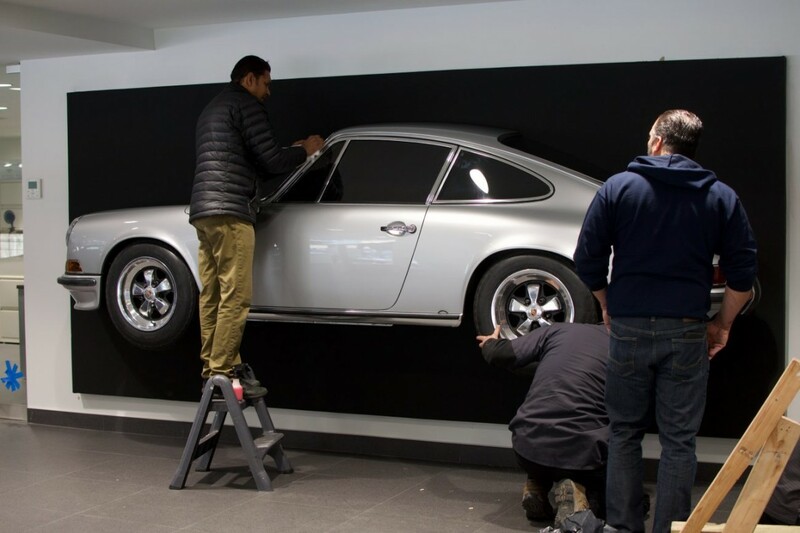 Including working lights, this piece was created to look like half of a Porsche 911. 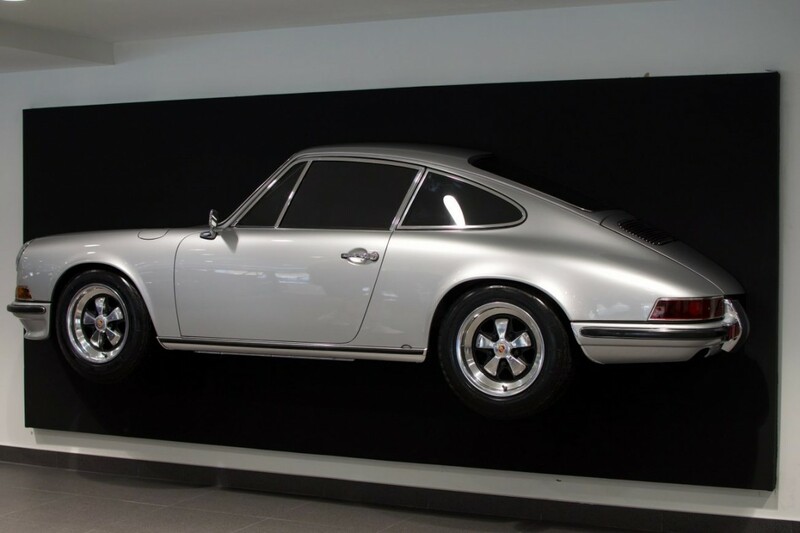 It is a one of a kind piece that adds real character to the dealership. 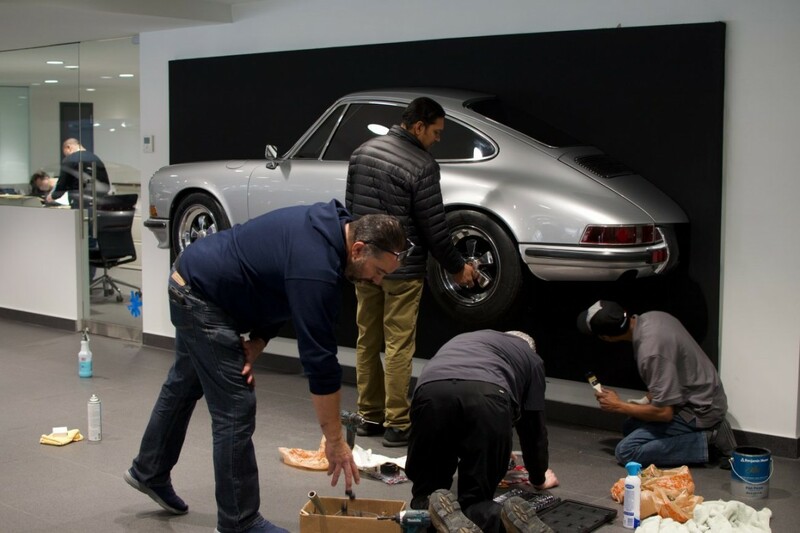 If you’d like to create one of a kind Porsche art for your office or garage, let us know what you have in mind! 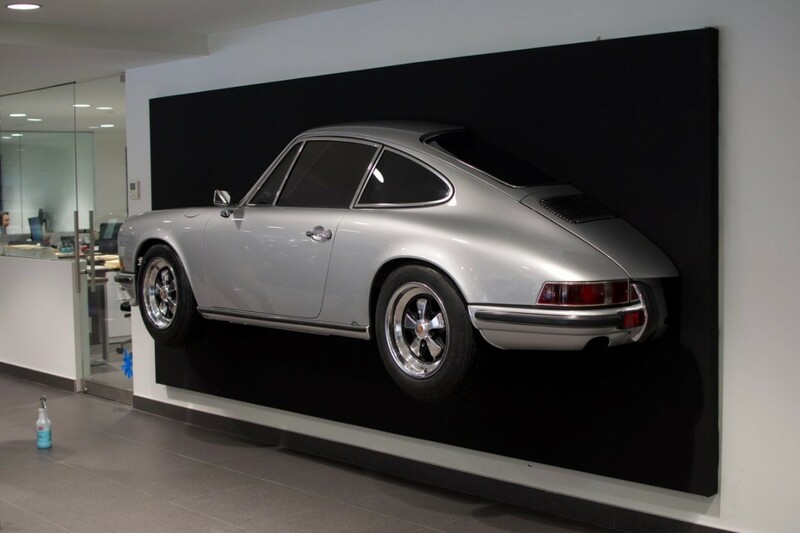 When you’re visiting Porsche Gold Coast, make sure you stand next to this incredible piece, take a photo, and then tag us on Instagram @manhattanmotorsports.